If you are a regular reader of our blog then you will know we love books, especially children’s one. We were recently sent another new one to review and it’s great! As soon as I opened the parcel I squealed at how cute the front cover is, a bear in a bee onesie – it’s so cute! 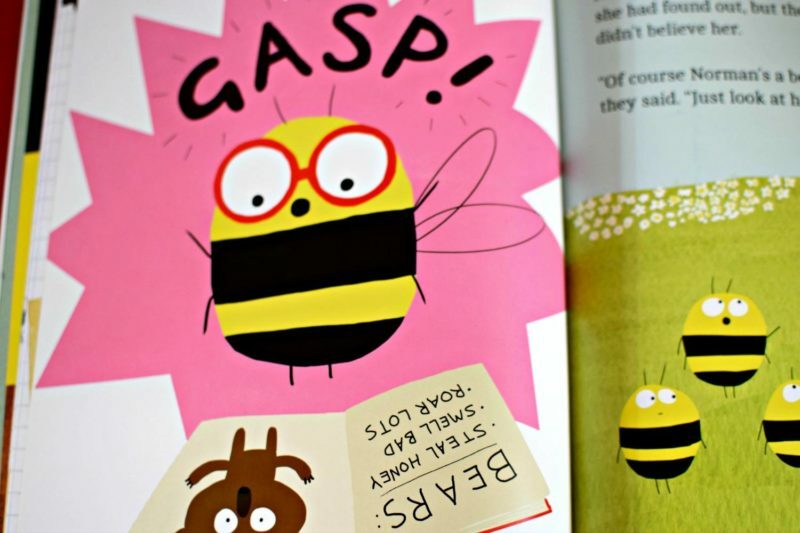 There’s a new bee at Bee school, but he’s a bit different to all the other bees because he’s actually Norman the bear. Norman is a rather sneaky bear who has run out of his favourite food which just so happens to be honey. So he decides to dress up as a bee and head off to bee school in order to get closer to the honey. It doesn’t take long before one very clever bee notices that Norman is a bit different and sets out to uncover the truth. It’s a great story, the illustrations are really bright and colourful. I especially liked the little details on the bees, some are wearing hats, others glasses, carrying books etc.. it makes me a very fun read. Clementine couldn’t wait to get her hands on it either, it only arrived the other day and we’ve read it every day since so she must really like it. 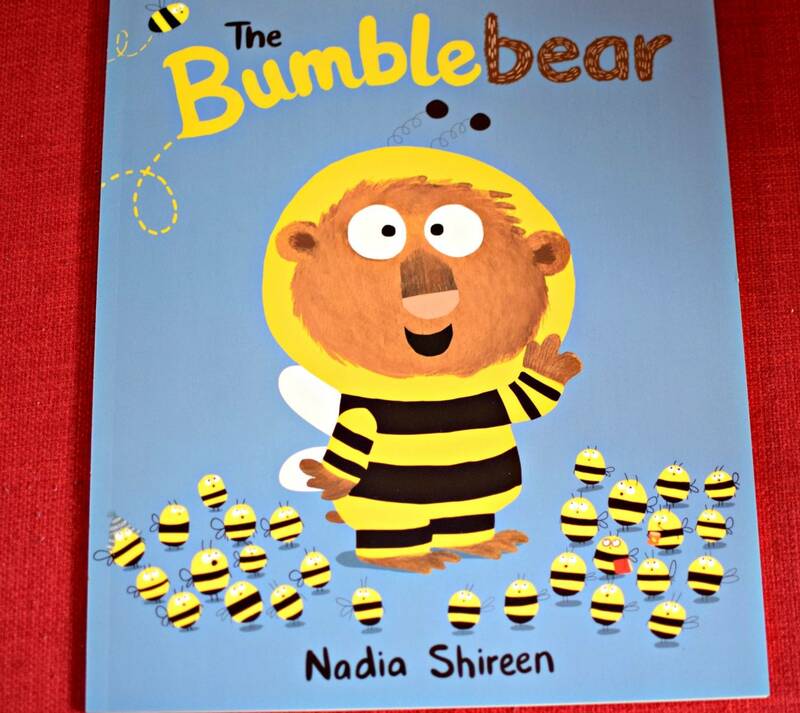 If you want to check out The Bumblebear for yourself it is out on May 5th, published by Penguin Random House Children’s UK. We were sent a copy of the book for the purpose of this review but all words and thoughts are my own.